Grey Bruce Labour Council Opens up 2018 Day of Mourning Award Contest. This entry was posted in Uncategorized on January 30, 2018 by greybrucelabour. On January 29th, 2017, in the largest mass shooting in Canada since 1989, six Muslims were murdered at the Islamic Cultural Centre of Quebec City, a mosque in the Sainte-Foy neighbourhood of Quebec City, Canada. The names of the six peaceful worshippers killed were Ibrahima Barry (aged 39), Mamadou Tanou Barry (aged 42), Khaled Belkacemi (aged 60), Aboubaker Thabti (aged 44), Abdelkrim Hassane (aged 41) and Azzedine Soufiane (aged 57). Kevin Smith, President of the Grey Bruce Labour Council, notes “that the names must be repeated and remembered, just as the names of the fourteen women massacred at Ecole Polytechnique in Montreal are repeated and remembered each year on December 6th and all those whose lives have been ended prematurely or been forever harmed by racism and the divisiveness so often on display across Canada and around the world”. Nineteen others were injured, including Aymen Derbali, who is now paralysed. 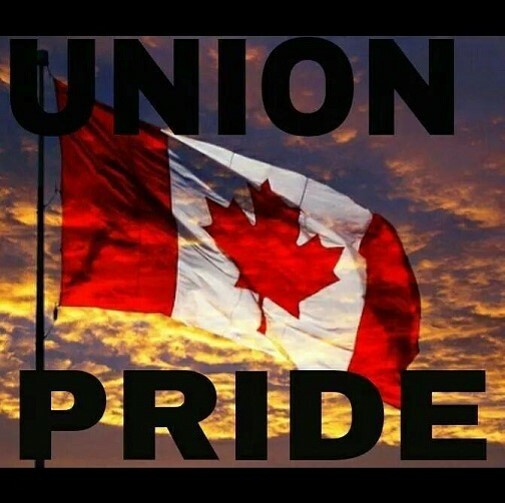 In the days immediately after the massacre many delegates to the Grey Bruce Labour Council stood shoulder to shoulder with our Sisters and Brothers. Labour Council Vice-President, Dave Trumble, remembers standing with the Community of Kincardine at the Kincardine Islamic Centre just days after the tragedy. “It was one of the coldest nights of the year and the community stood in a display of solidarity and sorrow. Not only did the community stand with our Sisters and Brothers we heard all facets of our community dedicate and rededicate themselves to standing for equality of all people and to stand in opposition to hate, intolerance, and any form of behavior that seeks to undermine the dignity of anyone or any group”. Some news has pointed out to some corners where “A National Day of Action Against Islamophobia” is receiving pushback as being too controversial. The day of action does nothing to suggest that discrimination does not exist elsewhere, but in today’s climate anti-Islamic sentiment is on the rise and calling such abhorrent behavior by name is key to it’s elimination. Many Grey-Bruce Labour Council Delegates helped organize and march in parades and days of action against male violence and according to Smith, “the same type of pushback took place. But, just like then, calling out this rising tide of discrimination and violence against Muslims must be called by name so that we may go about the hard work of ensuring no one is harmed because of their religion, race, ethnicity, indigenous status, sexuality, gender, disability, place of origin or age”. The Grey Bruce Labour Council asks our community to take time to remember the lives lost one year ago and to dedicate themselves to standing up against all forms of hate, discrimination and/or anything that undermines the dignity of people or a person. The Grey Bruce Labour Council represents a diverse membership of public and private sector unions and has been the voice of workers in the Grey Bruce region for 62 years. This entry was posted in Uncategorized on January 29, 2018 by greybrucelabour. This message is for everyone who works at Tim Hortons across Canada. What’s happening in Ontario is not right. Paid breaks, food, uniforms and tips are being taken away from workers. We all deserve to be treated with respect. Our advice is to form a union. We unionized, and if you work at Tim Hortons, you can too. When you have a union, your rights are protected. We bargain for our own contract and our benefits can’t be taken away. We love our jobs. We are very passionate about serving our customers. We are proud to be part of such a successful company. We are part of that success. The reason we formed a union is for us to have job security, respect in the workplace, better benefits, fairness in scheduling, and decent wages for the work we do. Now that we have a union, we have a voice at work. Whenever the employer makes changes, they have to think first about how it will impact us. They have to follow a fair process for any discipline. We can call our union rep and organize together to enforce our rights. Of course, it’s not easy. It took us a while to get our management to respect our decision to form a union. But we know it’s possible because we did it. Remember you are not alone. The union is US the workers. We are stronger together with a collective voice. Our employer has their own association, so we can have one as well and support each other. Be united, never stop fighting for our rights! Bonnie & Cherry are unionized Tim Hortons workers in Winnipeg. This entry was posted in Uncategorized on January 27, 2018 by greybrucelabour. Toronto – Putting the architect of hydro privatization in charge of alcohol and cannabis sales will be a financial and public health disaster, says OPSEU President Warren (Smokey) Thomas. “The collapse this week of the privatization giant Carillion is just one more painful reminder that privatization can’t be trusted and we can’t trust people like Clark who continue to push privatization,” Thomas says. Getting ready for the actions and campaigns ahead of us the Grey Bruce Labour Council elected their Executive Committee and Trustees on Jan 22nd, 2018 for the next two years. This entry was posted in Uncategorized on January 23, 2018 by greybrucelabour. It goes without saying that good media coverage can go a long way to making an event successful. The information Picket in Kincardine on Jan 19th had great participation and our media friends were indeed gracious. Thanks to all concerned. This entry was posted in Uncategorized on January 21, 2018 by greybrucelabour. This entry was posted in Uncategorized on January 19, 2018 by greybrucelabour.